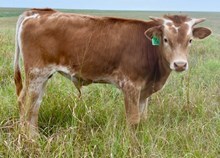 Tsunami came from the West Coast breeding of Bob Larson. 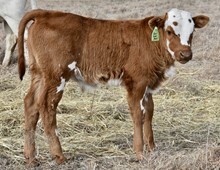 He has everything going for him-- incredible pedigree, low twisty hornset, great conformation and outcross genetics. 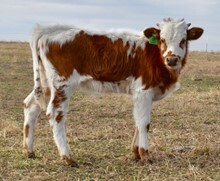 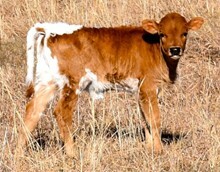 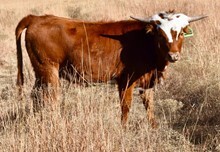 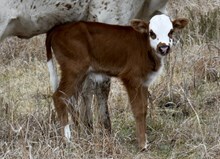 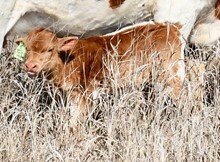 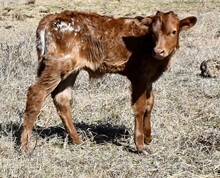 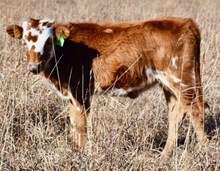 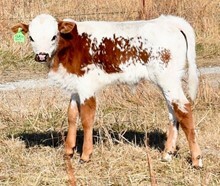 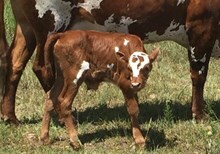 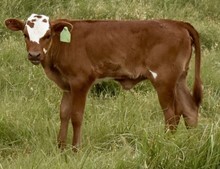 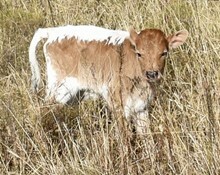 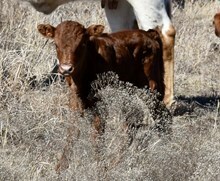 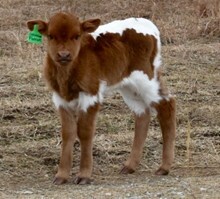 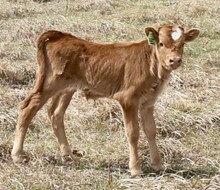 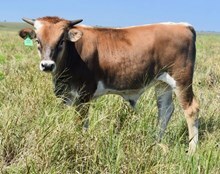 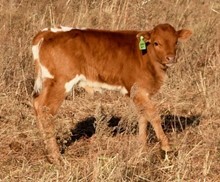 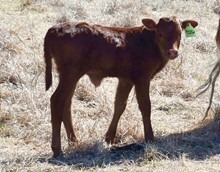 He was purchased in February 2016 from Mike and Heather Vincent of the Snoqualmie Cattle Company in Washington. 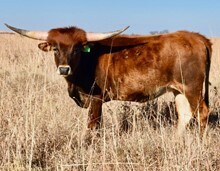 He has a thick correct, moderate frame. 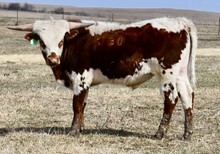 He has an amazing horn producing pedigree that includes Concealed Weapon and Pacific Mermaid( sold for $42,000 at the 2016 Legacy Sale). 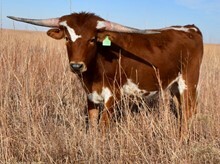 His low lateral horns reached 80" TTT @ 41 months making him one of the fastest in the industry to reach that landmark. 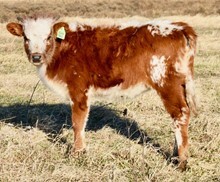 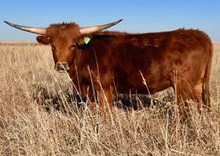 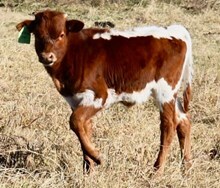 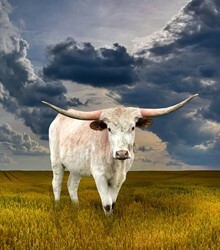 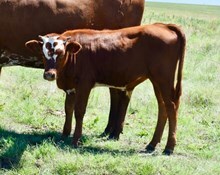 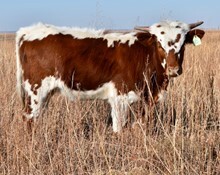 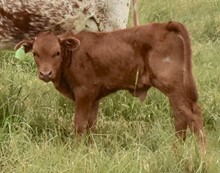 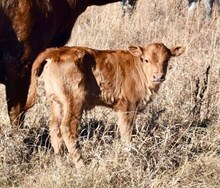 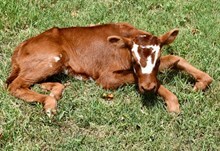 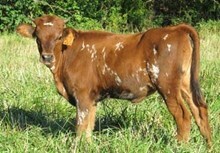 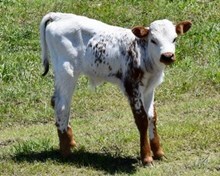 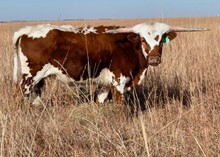 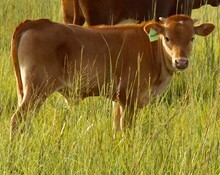 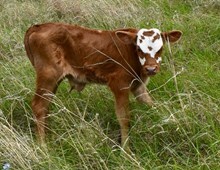 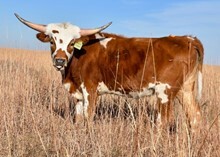 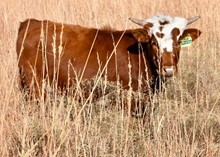 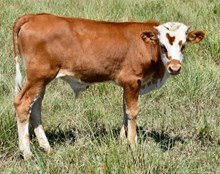 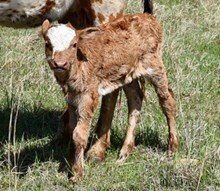 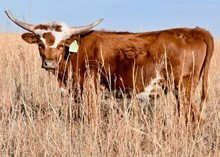 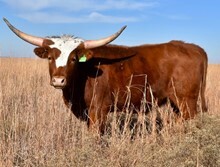 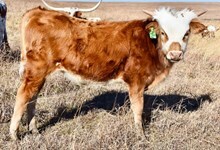 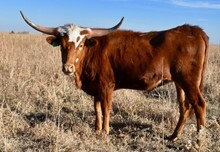 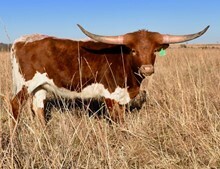 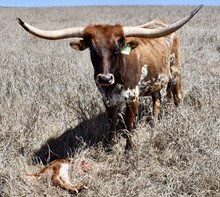 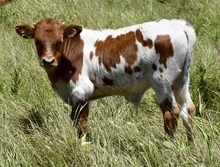 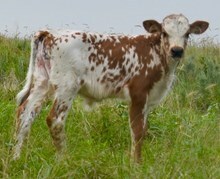 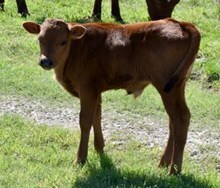 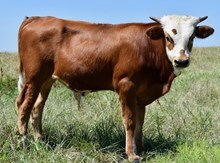 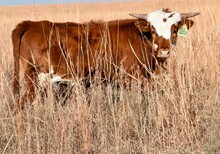 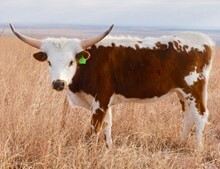 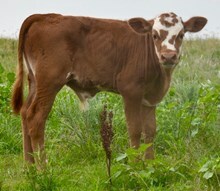 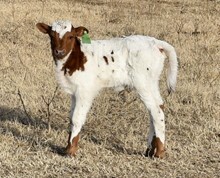 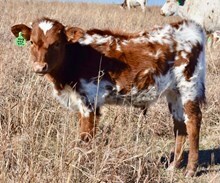 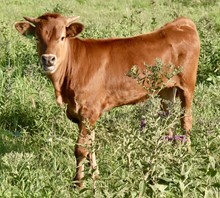 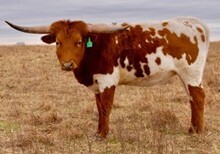 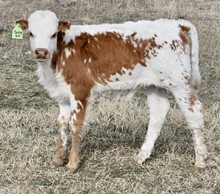 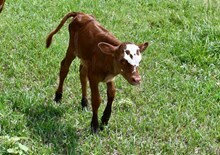 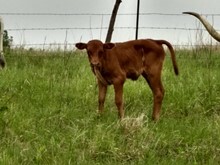 His full brother Outsider is owned by Craft/G&G Longhorns and he reached 45" TTT @ 12 months. 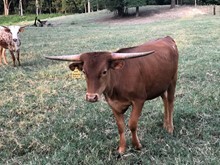 His full sister SHR Majestic Mermaid owned by the Helm family measured 72" TTT @ 32 months.We needed a good outcross bull . 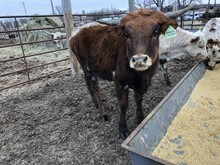 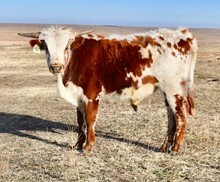 The majority of our herd are descendants of Cowboy Chex, Jamakizm and JP Rio Grande via Cowboy Casanova, Archer Texa and Monaco Chex respectively. 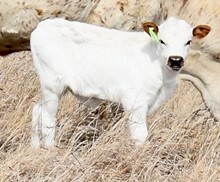 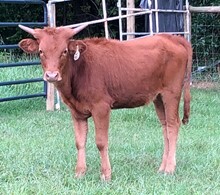 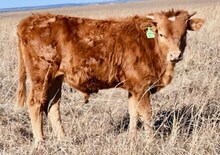 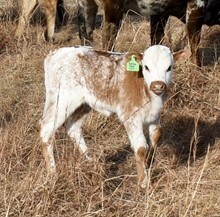 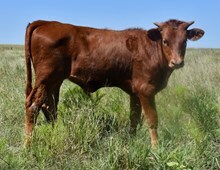 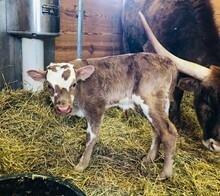 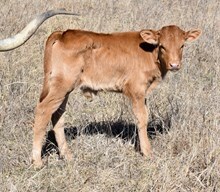 Adding Concealed Weapon and Tejas Star( via Pacific Mermaid) DNA to our herd stacks additional horn producing genes for synergism.His 2017 calf crop included 18 heifers and he has demonstrated an ability to lower the total horn cow thereby improving the TTT. 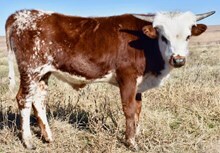 He has 25 confirmed 2017 pregnancies for 2018 calves and is exposed to 15 more- in December - Monaco Temptation.Archer Amy, Sheza Sittin in Rain, Casanova Classy Girl, Perfectly Posh,Cowgirl Sass, Casanova Pacifica,Shamrock Betty Van Horn,Archer Alexandra,Coco Tuff and Monaco's Sunrise, Monaco Fine Print, Monaco Grand Lady, Monaco Sweetheart and Monaco Sittin Texan.